Take a palm oil free splash with my beautiful, skin-loving soaps! Come visit me at a local St. Louis farmers market or craft fair or see what’s available online. 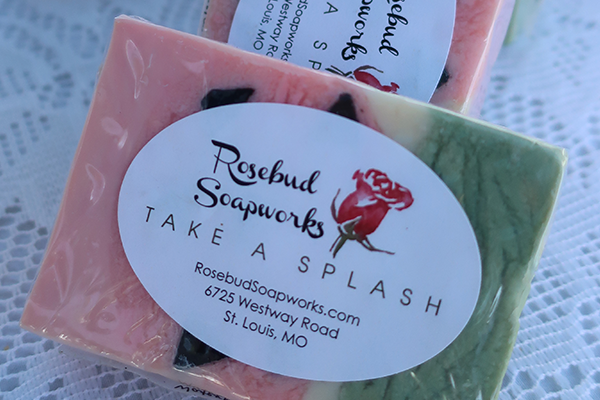 Check out my blog to find out the how and why of my soaps, or connect with me through e mail or by text to talk about my designing a special soap just for you, or for a special event or gift! Whether you are using my soaps to soothe, smooth, exfoliate, moisturize, or just get clean, your skin will thank you. Oh, and by the way. This web site is definitely a WORK IN PROGRESS. So don't judge me. Copy for soap type goes here. Loofahs are a squash. Learn more! Like what you hear and want to learn more about custom soap orders? Click here.